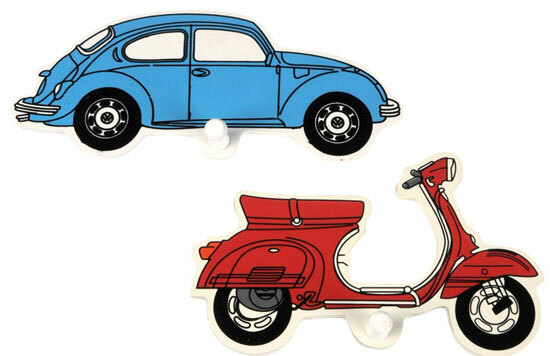 These are designed to appeal to kids, but I suspect a few adults might be these Pakhuis Oost VW Beetle and Vespa scooter coat hooks. They come as a pack of two, although you can choose your colour of either red or blue. The designs are handmade so I guess you could say unique, which only adds to the appeal of these retro wall decorations. The size is around 5.46 inches x 8.58 inches, selling for £14.